There are over 1 billion people in the world living with some form of a disability – that’s 15% of the world’s population, or 1 in 7 of us. This group is chronically underrepresented at every level. 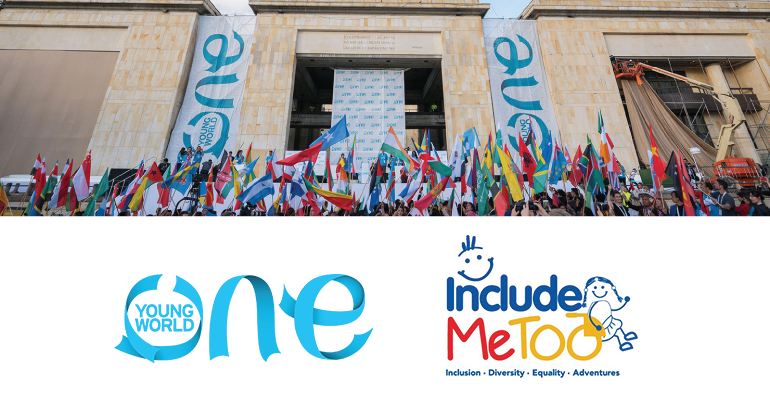 One Young World is proud to announce The 1 in 7 Scholarship in partnership with Include Me TOO which will support 5 of the world’s most inspiring and impactful leaders in the disability space to participate in the One Young World Summit 2018 which takes place in The Hague, the Netherlands from 17 – 20 October. The cost of travel to and from The Hague.